We all care about our pets, they are our best friends. When it comes to their food though we want to get them the healthiest options out there without breaking the bank. Dad’s dry cat and dog food are a great option for your pet. Dad’s dog food was originally created back in 1933 and has been made since with the idea of providing natural food without costing your whole paycheck. Best of all, it is still owned by the original family so they are more likely to care for your animals than a big company. If you want to save $1.50 off any Dad’s Dry Cat or Dog Food that is 3 lbs or larger you can head on over to Klip2Save to order the coupon. 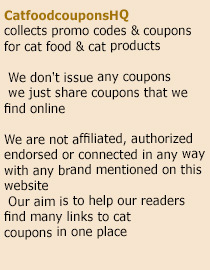 This is a manufacturer coupon so it is good at most stores, especially big box stores. You can also find it in the local newspapers. When you go with Dad’s pet food you have options. There are four flavors of dog food and four flavors of cat food. They each are made with a different type of animal in mind and with a variety of flavors you are bound to have options for you. This entry was posted in Dad's. Bookmark the permalink.